BAGUIO CITY – The Cordillera Office of the Mines and Geosciences Bureau (MGB-CAR) announced that there are no permits that were issued by the agency or the different city and provincial regulatory mining boards granting the temporary operation of small-scale mining in any part of the region since it is the Secretary of the environment department that is empowered to do so. MGB-CAR regional director Engr. Fay W. Apil said that it was Environment Secretary Roy Cimatu that issued the temporary suspension of small-scale mining operations in the region after the onslaught of Supertyphoon Ompong as a stop gap measure to prevent further loss of lives and damage to properties in small-scale mining communities and avoid the repeat of the incident in Sitio 070 Ucab, Itogon, Benguet wherein dozens of lives were lost due to a tragic landslide, thus, he is the one that is empowered to lift or grant exemptions to such order. She explained that the action of city or provincial mining regulatory board in granting temporary permit to operate to small-scale miners in their areas of jurisdiction like what had been done in Benguet is only recommendatory on the part of the said boards, thus, whatever guidelines that will be crafted to ensure the strict adherence of pocket miners to safety and environmental preservation and protection policies will still be subject to the appropriate action of the Secretary. 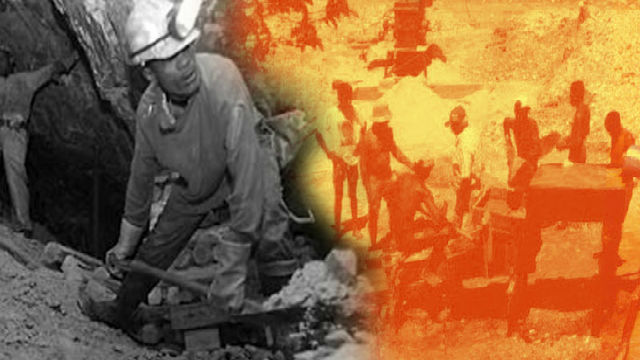 “While it is true that the PMRB of Benguet granted the request of small-scale miners the required temporary permit to operate for humanitarian reasons, it is not automatic that the pocket miners will resume operation because the crafted rules for the purpose were submitted to Secretary Cimatu for appropriate action, thus, he can either approve or disapprove the same,” Apil stressed. Even if the guidelines will be approved, the MGB-CAR official claimed that the concerned small-scale miners will still have to apply for the issuance of necessary permits from the different government agencies involved in the regulation of artisan mining. Earlier, a number of small-scale mining associations in the different parts of the province petitioned the PMRB of Benguet to issue a temporary permit to operate because since the suspension of pocket mining activities regionwide last September, they are now having a difficulty providing for the basic needs of their families wherein some of their children stopped going to school because of their failure to settle their school fees apart from the fact that they have a difficulty in looking for other jobs. Last November, small-scale miners were allowed by the PMRB of Benguet to process their stockpiled ore to allow them to have a temporary source of income to attend to the basic needs of their families and the same was extended for another month in December for them to be able to process all the stockpiled ore.
Apil appealed to small-scale miners in the region not to violate the prevailing suspension of pocket mining activities because once their illegal activities will be discovered by authorities, it might provide a wrong signal to the authorities not to grant their request and eventually convert the temporary suspension order to a permanent one that will be detrimental to them in the future.